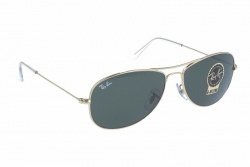 Ray-Ban Cockpit sunglasses contemporize the Aviator Classic with an updated lens size and color options. Ray-Ban Aviator was specially created for Tom Cruise and his film Top Gun. It was there where the ‘Cockpit’ model was created and nowadays is one of the model preferred by girls. Cockpit RB3362 allows you to wear the timeless, classic frame that we all know and love, with an added edge. 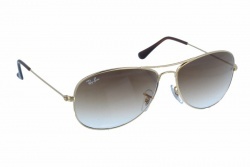 This version is more stylized than the classic and well-known Ray-Ban Aviator RB 3025. Cockpit sunglasses have less dominating lenses, which complements most face shapes. The Cockpit sticks to its roots of teardrop shaped lenses and laser cut metal that ensures a thin and lightweight frame. The brand name is located in the lens as well as in the nose pads. These sunglasses are classic and timeless models and if you want to make a statement this is your best option. 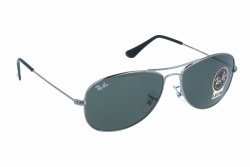 Cockpit Ray-Ban 3362 are unisex and they are available in two different lens width: 56mm and 59mm. Besides personalise your style from a variety of frame and lens colours as well as lens treatments including the well-known polarized treatment. 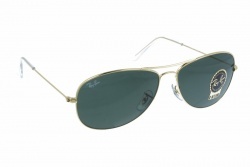 Ray-Ban RB 3362 sticks to what makes Aviator so special, but also adding unique final touches. These models are manufactured with high-quality materials and the leading technology so their glasses ensure 100% protection against UV and a better clarity of vision. Moreover, for lovers of Aviator, Ray-Ban has provided a wide range of models for everyone’s characteristics and needs: Aviator RB3025 is the classic and original model; Aviator Small Metal RB 3044 have been designed for small faces; Aviator Large Metal RB3026 have been designed for broad faces; Aviator Tech RB8303 are manufactured with carbon fiber; Cockpit RB3362 have less dominant lenses; Caravan RB3136 have squared lenses; Aviator Shooter RB3138 are crafted with the vanity bullet hole in the center of the frame; Outdoorsman RB3029 and RB3030 have an acetate brow bar and so on. 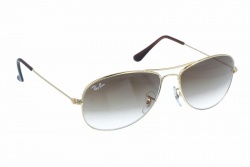 An endless number of innovative choices for every person who wants to wear a pair of Ray-Ban glasses.